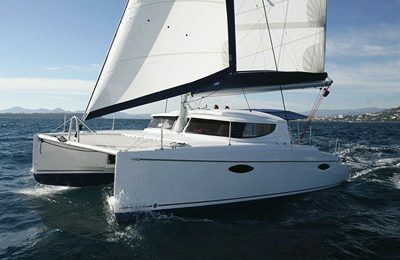 Welcome to 46′ Bavaria sailing yacht charter out of Barcelona,experience the city skyline over the sea . The 2008 46′ sailing yacht is from German yacht builder Bavaria. Enjoy a big sized sailing yacht with her spacious cockpit and deck. Yet living space and everything come with an affordable pricing. 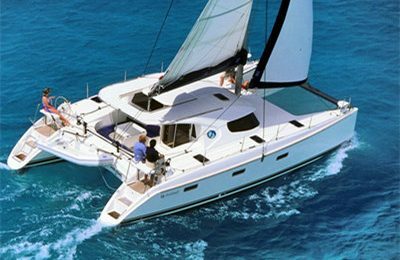 The yacht holds comfortably up to 10 Adults, comes with full kitchen and 3 sleeping quarters, 1 restroom. Departure from Vilanova marina, this marina has been ranked 1 of the most beautiful marinas in Europe. View the Vilanova skyline from the sea, the sun is about to set over the hill, enjoy the breath taking view along with a glass of champagne, a gorgeous night in Barcelona is right ahead. 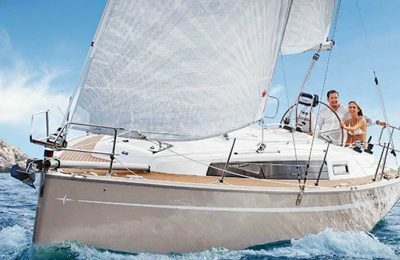 A 2008 46 feet ( 14.3 meters) Bavaria sailing yacht.